First, a bit about Baskerville. It is a relatively short track (3km) with huge elevation changes, some of the largest in Australia. it is one of the first places I drove a car and rode a road motorbike. I have spent a lot of time there, but it’s been a long, long time since I last rode it. A lap starts with a downhill run onto the short start/finish straight (which doesn’t feel that straight). An uphill approach is provided for T1 (under the pedestrian bridge), which is on camber right hander. This climbs up and up before the track drops away from you into the esses (2-3-4). A very late entry into 2/3 lets you line up an early entry to 4, where the track opens up. A good run here is essential as you need to carry a lot of speed through 5/6, which can be taken as one corner. Huge bumps here though, but you need speed as the run between 6 and 7 involves a great hill climb from the lowest part of the circuit to the highest. 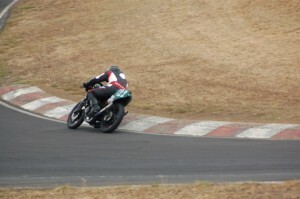 The hill is also bumpy, so you have to modulate the throttle as the back wheel bounces off the ground. 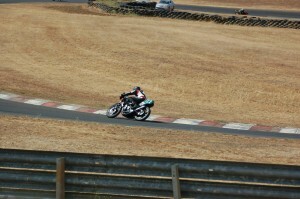 T7 is a blind approach left hander over the top of the hill, where the track theNo goes sharply downhill. The speed you carry here is important as it is into the second longest sttaight. A small wash off of speed and then you take the fast, slightly downhill turn 8 (Calvin’s Corner) which is also off camber. 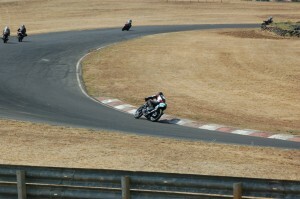 Then you have the main straight, and the only point where you can relax. 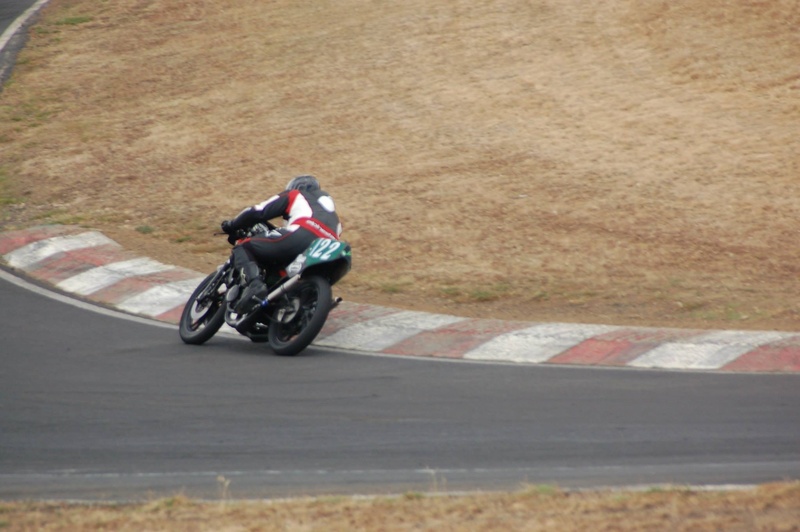 There is a huge hump in the middle of straight which induces head shakes in small bikes and wheel stands in the big ones. A fine and early entry into the uphill 9, washing wide then coming back as you plunge downhill through t10 and back onto the start-finish straight for another lap. Time-wise it’s pretty similar to Wakefield. 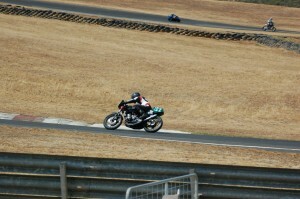 A full blown superbike does about a 56s lap; the best time I could find for a 250LC is 1:06. My aim was around a 1:13 or so; some PCRA people did 1:10-1:11s down here in 2011. The planning/info was pretty scant – sent in my entry form, no acknowledgement and no final instructions/list of competitors etc. 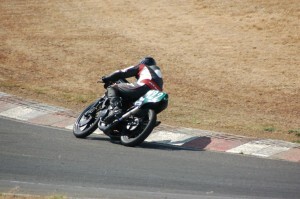 Trackday was also similar: no booking, just rock up. In fairness it’s a small club and with a small number of volunteers it is hard to get out info to those not in the know. 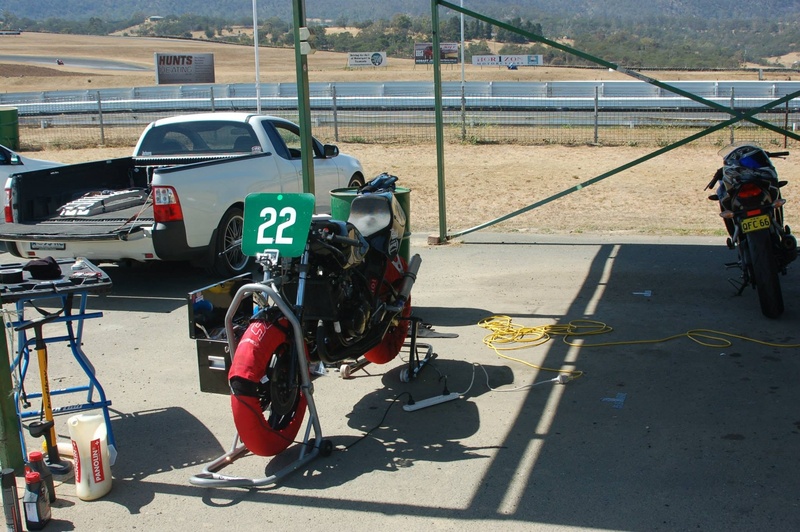 it was also cheap: $100 for the race entry and $60 for the trackday, plus club fees and a few other bits and pieces like transponder hire for racing. 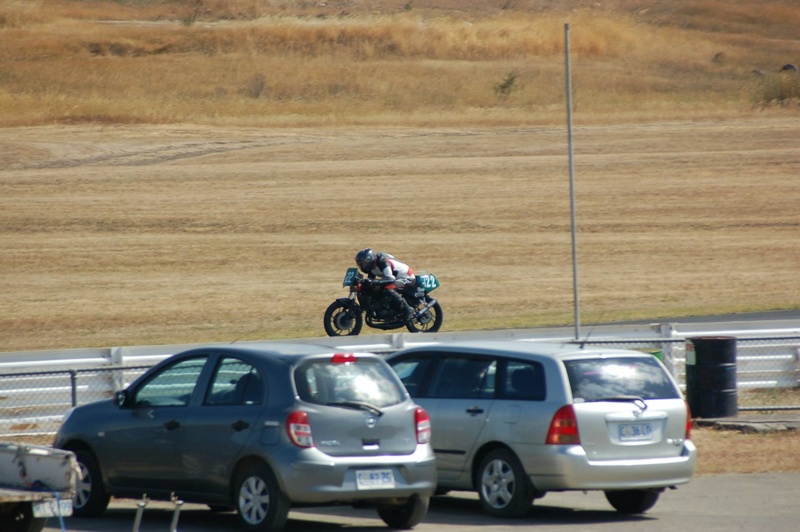 Rocked up to trackday at 7am to find… Noone there! By the time more people rocked up, we all paid, had bikes scrutinieered and had a briefing, it was 9ish, and the group I was put in (Novice – all “first timers” at an SRCT trackday) was last out so I wasn’t on track till after 11. Tickled the LC around and had fun, but couldn’t string together a single lap due to traffic. Best I got was a. High 1:14 or low 1:15, so I had a few seconds to find to get to my target times. Did a plug chop; was perfect which is good cause I jetted it on relative air density alone. 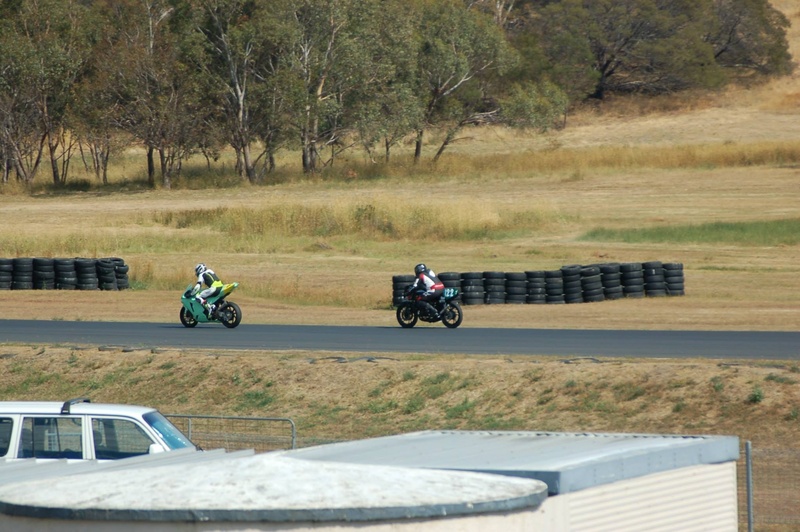 Warm day (~30 degrees) and I elected to do only 3 sessions, though the day was cut short with qualifying for the 2 hour enduro on during the arvo. 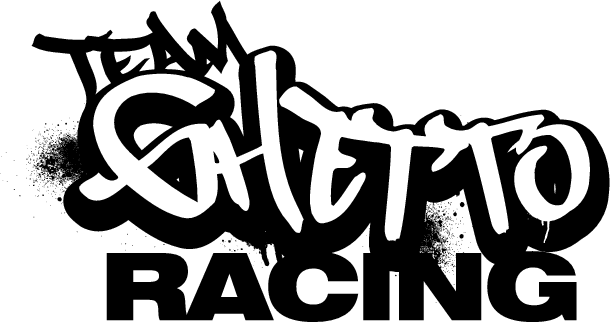 Sunday: race day. Rocked up to the track early again, which gave me pick of the carport spots and therefore power (no need for the generator I bought or quick shade my old man managed to borrow for me). Set up, and then waited to sign on etc. With that all done, it was time to reflect on the day ahead: up to 6 sprint races (7 laps each), with only 1 race break between them. All this on a 38 degree day! 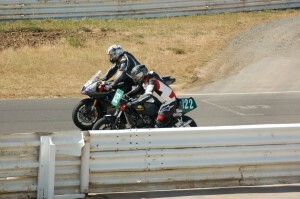 A few delays meant no practise, and they split the races up a bit more. Qualified first for the local club 600s and under 500cc (I was in under 500s), and did a 1:15 but just cruised around behind a 675. Then had a session off, then qualifying for the Hisotrics. I pulled my finger out this time, pushed a bit harder and got a 1:11.7. Still only good enough for 6th on the grid (out of 7): bit hard when it was all historics together to go much higher up the grid. 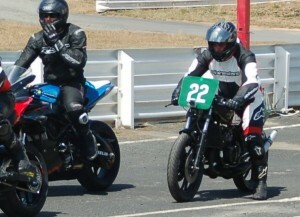 I had a great start and got past 3 or 4 bikes, excellent. 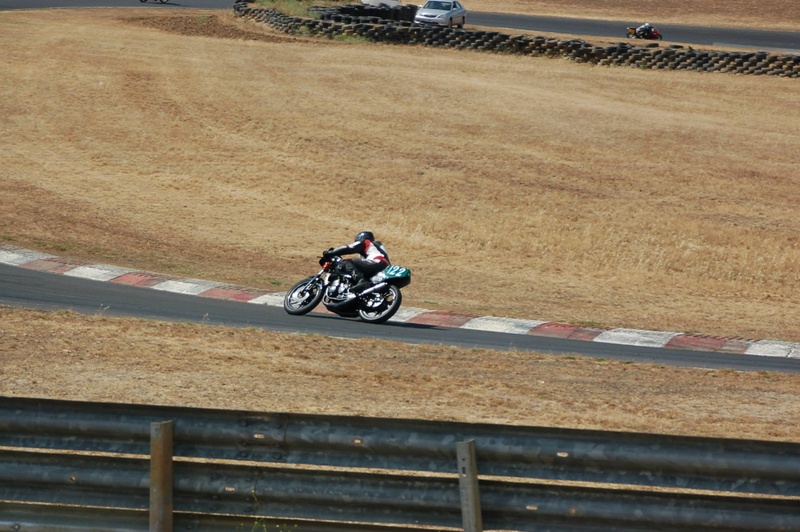 Lost a couple of those spots but got into a battle with an RVF400. 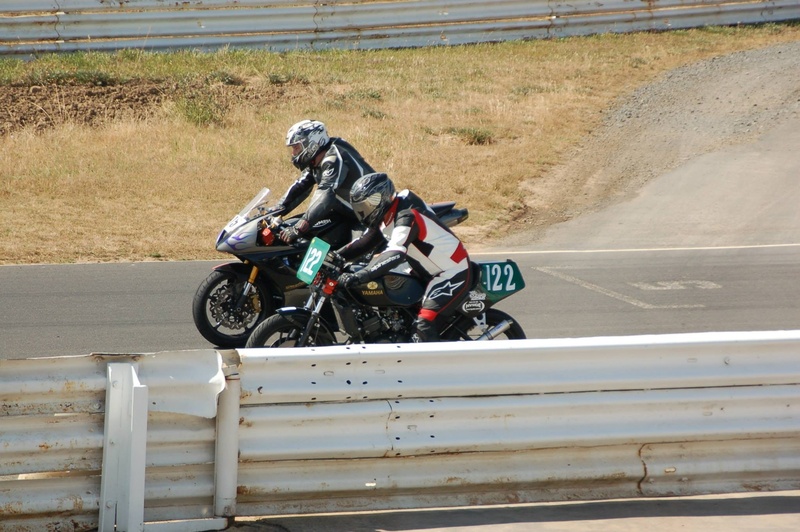 I got past him out of the last turn with one lap to run, and kept him at bay all the way to get myself 4th in class, out of 8 or so. 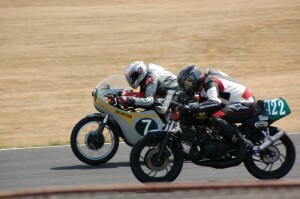 Race 1 of the historics and holy crap the big 4 strokes honk around here with the elevation changes. All I could do was hold station at 6th and stay there for the race. A convenient announcement was made after this race: my two races were to be combined. This was a good thing, it was stinking hot and I was struggling. 3rd race and I got my groove on a bit more. I got dropped early on by the other couple of smaller historics but I pushed it hard and slowly caught up to a neat and very quick p4 Honda ridden by a bloke my old man has known from racing for the last 40 years. 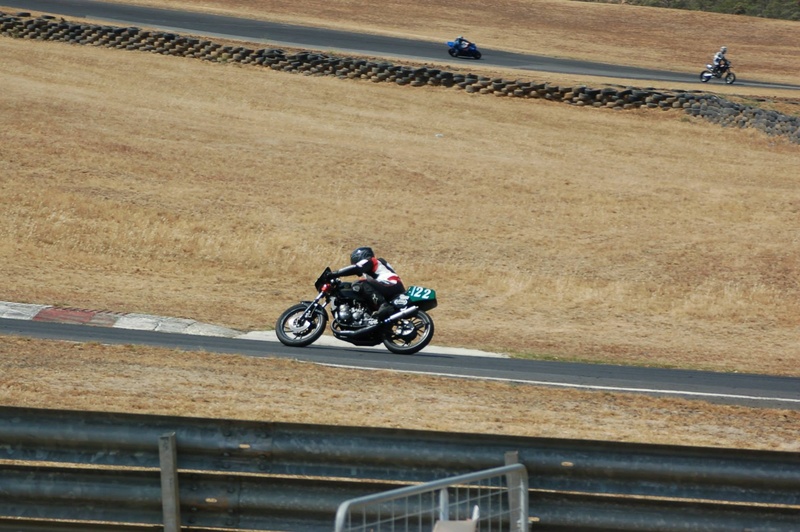 I caught up to the Honda at the end of the straight at the end of the last lap, and he just stuck to the usual racing line. No choice for me but to stick it up the inside and hang on. I managed to draft and get past by using every rev and then some (needed slightly longer gearing but that’s all I had), pushed hard with an out braking effort and threw it in. Unfortunately I washed wide and lost just too much speed so got re overtaken over the start finish line, that’s racing though. Especially against a canny veteran, but it was cool to see what experience brings to the table in these situations. 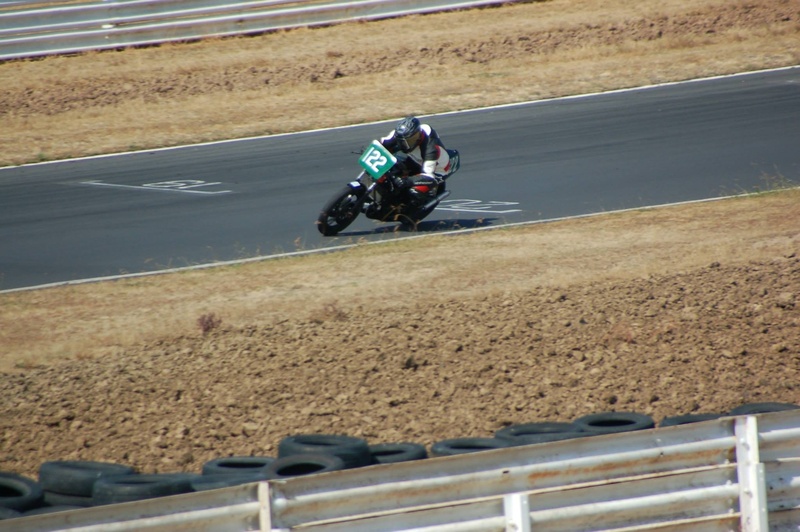 I had a longer break to the final race with lunch taken. In this time the wind picked up and we had a 60 km/h side wind to contend with. 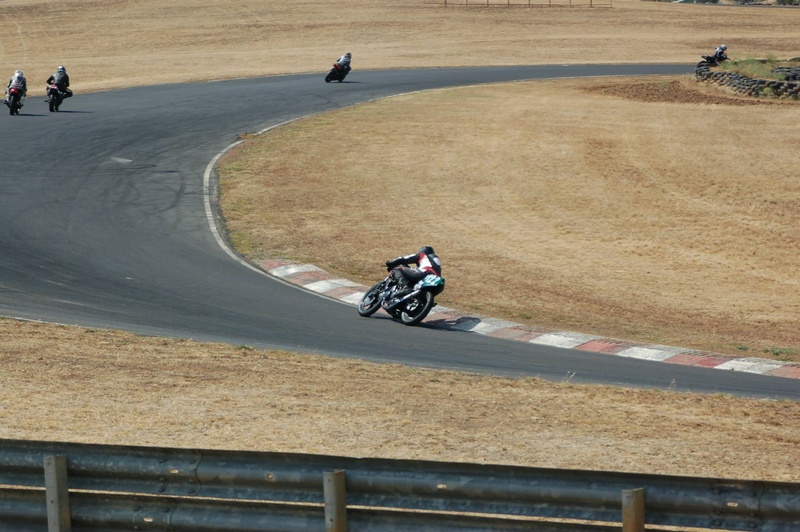 This slowed my pace up a heap especially through the esses, so my lap times dropped and I just cruised around and did a load of consistent laps. All in all I finished up 6/7 in historics and just missed a trophy in under 500s but I had a blast. Got down to a 1:10.3 which is quicker than I expected and quicker than some LCs from the PCRA did in 2011. 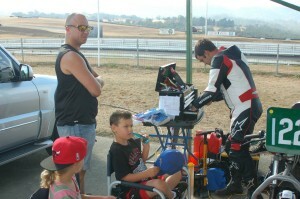 It was also great to have my old man out supporting my racing, plus one of my brothers and his kids. 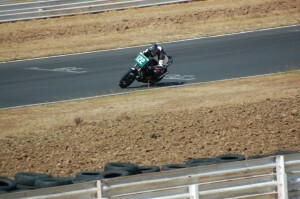 Really worthwhile trip and a fun track to have my LC racing debut on :).